PR Newswire reported on Septmber 9, 2016 that Irving Oil has assumed full ownership of Whitegate Refinery and will continue full operation of the facility, including maintaining its existing workforce. "Whitegate is a great facility, and is a good fit for our company," says Arthur Irving, Chairman of Irving Oil. "We are happy to welcome the Whitegate team to Irving Oil and we are looking forward to working together." The Irish Independent reported on August 3, 2016 that after trying to sell their Ireland-based Whitegate Refinery for the past several years, Philips 66 has reached an agreement to sell the refinery to Irving Oil for an undisclosed sum. Irving Oil, which operates the largest oil refinery in Canada, said it views Whitegate as a key element in expanding their business in Europe. The processing facility is capable of handling 75,000 barrels of crude oil per day. “We are pleased to have signed an agreement to purchase the Whitegate refinery,” said Irving Oil chairman, Arthur Irving. “It’s a good day for our company and we’re looking forward to welcoming the Whitegate team to Irving Oil.” Irving Oil said it had been deeply impressed by Whitegate and its Irish workforce. The Canadian company said that the Irish plant had an operational track record that made it a perfect fit for their future development plans. Sale conditions are now being concluded and the deal is set to be formally closed by the year’s third quarter. Irving said it intends to continue full operation of the Whitegate plant and the maintenance of its existing workforce. Greg Garland told analysts during the 2016 second quarter earnings conference call on July 29, 2016 that "we're still in the process on Whitegate, I would tell you we're pleased with the progress to this point. And hopefully, as I said, I think on last quarter, our intention is we get this closed this year." Greg Garland told analysts during the 2016 second quarter earnings conference call on July 29, 2016 that "as we come to the end of the Whitegate process, I don't think there is a lot more in portfolio that we have on deck, certainly for 2016 or thinking about it into 2017." The Irish Examiner reported on May 21, 2016 that Phillips 66 could announce the sale of Whitegate oil refinery as early as next week with negotiations believed to be at an advanced stage. Ireland's only refinery has been on the market since November 2015 when its current owners Phillips 66 (P66) took the decision to again seek a buyer after earlier attempts to offload it in 2014 failed. According to sources, a preferred bidder has been identified from a shortlist of interested companies which included private equity firm ArcLight Capital, Irving Oil, UK-based PTFPlusOne and Valero Energy. Canadian family-owned Irving Oil are understood to be the frontrunners in the sales process. Irving is a gas and oil processing, transporting and marketing company headquartered in Saint John with additional operations in the US state of New Hampshire. The Canadian firm was one of the companies touted as a potential buyer for Whitegate in 2007. Whitegate reported losses in 2014 of more than $280m representing a fivefold increase on the $58m loss it made the previous year. Phillips 66 reduced the value of the plant and equipment resulting in an impairment cost of $127.6m in addition to its $146m operating loss. In answer to a question from Neil Mehta, Kevin Mitchell told analysts during the 2016 first quarter earnings conference call on April 29, 2016 that Phillips has a process underway for divestiture at Whitegate and we expect that will conclude this year. The Irish Examiner reported on April 21, 2016 that Ireland’s fuel supply could be “extremely vulnerable” and the country left depending on the goodwill of the UK if British voters choose to leave the European Union and the future of Whitegate oil refinery isn’t secured. Should the UK vote to leave the EU in the June 23 referendum it would no longer be bound by EU energy regulations which require member countries to share resources in certain circumstances. “In Ireland, 80% of the petrol we use is imported. Of these imports, 70% come from the UK meaning that the UK supplies us with well over half of the petrol we consume. The figures are similar if we take the heavier gas/diesel oil, of which 50% of our final consumption is imported from the UK," said Fine Gael MEP Seán Kelly. “In the event of a crisis and [the UK wasn’t] in the European Union, we would be in a very bad position because we’d be dependent on their goodwill more than any obligations on them. So it’s fraught with uncertainty at the moment,” Kelly said. The refinery’s future remains up in the air after its US owner Phillips 66 put it back on the market in November 2015. 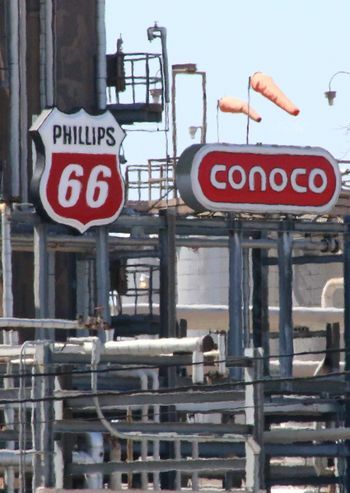 Phillips 66’s contractual obligation with the state to operate the refinery comes to an end days after voters go to the polls in Britain. Kelly said the refinery must be a priority for the next government, adding that it is “without doubt of key strategic importance to the security and reliability of the Ireland’s fuel supply”. The Independent of Ireland reported on December 19, 2015 that Cork East Fine Gael Deputy David Stanton raised the issue of the future of Whitegate Refinery in the Dáil (Ireland's lower house of the legislature). tanton said the refinery supplies 40% of Ireland's transport needs and sells on a wholesale, rather than retail, basis. "I have been told it turns around about 200 lorries per day, a figure which has risen to well over 300 at times of peak demand. 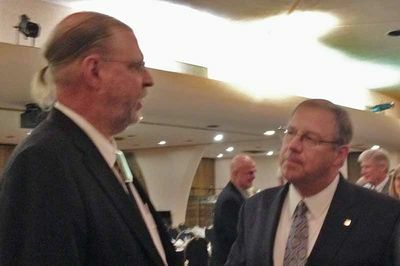 If it were to close, it would be a major shock to the State, and that is why it is of strategic importance," said Deputy Stanton. "The fuel, as the Minister knows, is used for transport, industry, agriculture, shipping, food production, heating, hospitals, haulage, public transport and so on. The refinery also produces liquid petroleum gas for a local company, Calor Gas." All other fuel is imported, mainly from the UK, he said. The refinery acts as a competitor to the importation of fuel. "No other country in Europe has allowed all of its refining capacity to be closed, and that should not happen in Ireland," he said. "I ask the Minister and the current and future Governments to support the continuation of refining in Whitegate and to continue the positive engagement that has occurred to date with the owners, any future owners, the workforce and local management." Stanton said over 300 workers are employed locally in the refinery, including 157 staff and 130 contractors. "I have been told that 600 ancillary jobs are dependent on the refinery, which again shows its important. It accounts for about half of the shipping tonnage in Cork Harbour," Stanton added. In response Energy Minister Alex White said Ireland has a single refinery, at Whitegate. "Refining in Europe has been struggling since the onset of the recession in 2008," he said. "The local management of Phillips 66 informed the Department on 12 October last of the company's intention to put the refinery and marketing business up for sale. Any sale of the refinery would be a commercial matter between Phillips 66 and a potential purchaser. While this process is under way, Whitegate will continue to operate on a business-as-usual basis. Whitegate's management has repeatedly indicated that it is committed to honouring the 15-year agreement under the 2001 sale and purchase agreement. This commitment is not, and would not be, affected by the planned sale." The Irish Examiner reported on November 25, 2015 that the Irish government considers the continued operation of the Whitegate Refinery as central to the country’s energy security and economic prospects. “The Government views the continued operation of the Whitegate Refinery on a commercial basis as highly desirable from an energy security and economic perspective,” said a spokesperson for the Department of Communications, Energy, and Natural Resources. “Security of supply remains a fundamental tenet of our energy policy. The minister [Alex White] is in contact with his ministerial colleagues to discuss the importance of continued operations at the facility.” Government and opposition TDs have expressed their desire for the State to do all it can to ensure the refinery remains operational in order to safeguard the country’s economic interests as well as the jobs supported by the refinery. The Irish Examiner reported on November 24, 2015 that Phillips 66 has decided to seek a buyer for its 71,000 barrel-per-day Whitegate Refinery and associated wholesale marketing business in Ireland after pulling the plug on its sales process in early 2014 having failed to find a buyer. “Phillips 66 intends to continue the business as usual, in compliance with the terms of agreements between Phillips 66 and the Irish Government, during the marketing process which is expected to last for several months,” a Phillips 66 spokesperson said. The company is contracted to operate the refinery until July 2016. The confirmation that the refinery is back on the market comes as latest accounts filed with the Companies Registration Office show that losses at the Whitegate facility soared $282.18m in 2014 with an impairment cost contributing significantly to the refinery’s overall losses.. Phillips 66 reduced the value of the plant and equipment resulting in an impairment cost of $127.6m. Fine Gael TD Jerry Buttimer said it was a concern that there may not be a suitable bidder for the facility given the scale of the losses and Phillip 66’s previous failure to offload the refinery and said he will raise the issue with Environment Minister Alex White to ensure the Government’s involvement in the process while everything needs to be done to safeguard the 300 or so jobs at the refinery. Fianna Fáil finance spokesperson Michael McGrath called on the Government to engage directly with Phillips 66 to determine the possibility of “carving out” a joint venture with a private company. The Irish Independent reported on Augusut 18, 2015 that Phillips 66 has made a cash injection of $200 million in Whitegate Refinery increasing its authorised capital. The investment was confirmed in documents lodged with the Companies Office. The cash injection will sharply reduce the deficit on the firm's balance sheet - at the end of December 2013, the firm had a shareholders' deficit of $230.29 million. The most recent accounts show that the Phillips 66 Whitegate firm that operates the refinery plunged into the red in 2013 to record pre-tax losses of $53.37m. It had pre-tax profits of $9.1m in 2012. Revenues fell by 4.5pc or $140m to $2.94bn in the 12 months to the end of December 31, 2013. Cost of sales fell from $3.05bn to $2.9bn last year. The directors' report stated that "the combined impact is that refining margins have been depressed and can be expected to remain so while Europe sees a supply and demand imbalance." Peter O'Dwyer reported in the Irish Examiner on July 16, 2015 that the future of Whitegate Refinery will be decided solely on a commercial basis by Phillips 66 and the decision is beyond its control of the Irish government since the State offloaded the facility in 2001. “Under the sale and purchase agreement made at that time, commercial decisions beyond July 2016 are a matter for the company who operate in a fully liberalised market,” said a spokesperson for the Department of Communications, Energy and Natural Resources. There have been five meetings between sitting energy ministers and Phillips 66 over the past two years. 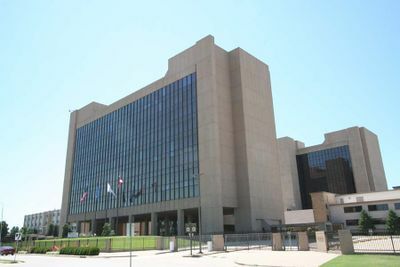 The most recent of these meetings took place in April 2015, according to the department which added that its officials remain in ongoing contact with Phillips 66’s management team. A spokesperson for the Department of Communications, Energy and Natural Resources said the Government’s preference is for refining to continue after July 2016 when Phillips 66’s obligation expires. Peter O'Dwyer reported in the Irish Examiner on July 15, 2015 that accounts filed for the refinery with the Companies Registration Office (CRO) show Phillips Whitegate Refinery had a pre-tax loss of $53.37m (€48.47m) in 2013. The directors of the company attributed the loss to a difficult economic climate and competitive environment in the European refining industry which they predicted was likely to persist. The news that Phillips 66 is still considering selling the refinery spurred local political reaction with Independent councillor Noel Collins calling for a taskforce to be set up to ensure its future. Port of Cork chairman John Mullins sought to downplay concerns of the potential impact of any change of ownership. “I think it’s been on and off the market for many years,” said Mr Mullins. “Our view on it from a port point of view... is that Whitegate supplies 30% of oil products right around the region and that’s not going to change overnight, no matter what happens to the ownership of Phillips 66.” The former Bord Gáis chief executive added that “whatever happens” it is important that the refinery stays open and continues to function given its importance to the oil value chain in the south of the country. Peter O'Dwyer reported in the Irish Examiner on July 15, 2015 that the potential sale of Ireland's only oil refinery in Whitegate is back on the table despite Phillips 66 appearing to pull the plug on the sales process last year. US multinational energy company Phillips 66 has confirmed to the Irish Examiner that it is considering selling the refinery, which employs 300 people locally, adding that, longer-term, it expects that the “asset will be challenged”. There is a contractual obligation between the Government and Phillips 66 to operate the refinery until July, 2016 but Phillips has declined to outline any future plans for the refinery post the expiry of the obligation other than to reiterate that it is evaluating its options which include possibly offloading the refinery or transforming it into an import terminal. 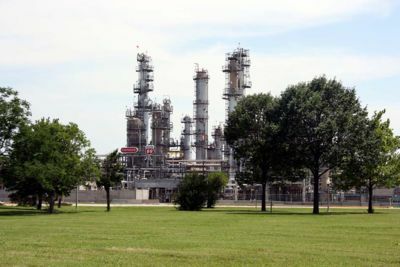 Phillips 66 discontinued the marketing of the refinery last year having attracted “limited to negative interest” from potential suitors, its chief executive, Greg Garland said at the time. "Whitegate’s future has been shrouded in uncertainty for some time and little progress has been made in terms of securing its longer-term future," writes O'Dwyer. Fianna Fáil leader Micheál Martin accused the Government on July 13, 2015 of failing to afford the refinery the appropriate level of urgency required to safeguard its future and called on Energy Minister Alex White to engage with the company again to create a blueprint that would give certainty to the situation. “I would encourage the Government to take a hands-on approach in relation to the refinery,” said Mr Martin. “It is of strategic importance to the region and to the country, and every effort should be made to retain it as an oil refinery.” His comments were echoed by party colleague Michael McGrath, who said he is “extremely fearful for the future of the refinery” once the obligation concludes, adding that its closure would have a devastating impact on employment. Nasdq reported on June 8, 2015 that planned maintenance is underway at Whitegate Refinery. Phillips has planned maintenance underway at five of its worldwide refineries: Humber Refinery, Wilmington Refinery, Ponca City Refinery, Wood River Refinery, and Whitegate Refinery. Phillips did not indicate whether fuel output may be impacted, and representatives from Phillips 66 weren't immediately available to comment. Houston Business Journal reported on February 9, 2015 that Phillips 66 has completed the sale of the Bantry Bay Oil Terminal in West Cork, Ireland to a new Houston energy company founded last year by the Warburg Pincus LLC private equity firm. "We are pleased to have acquired the Bantry Bay Terminal, which serves as a critical commercial link in northwest Europe for crude and refined products," Zenith CEO Jeffrey Armstrong said in a prepared statement. "The terminal's attractive deepwater location on Bantry Bay enables our customers to take advantage of many trade opportunities, and the terminal will remain an important part of Ireland's strategic petroleum reserve." The terminal, located on Whiddy Island in Bantry Bay, has a storage capacity of more than 8 million barrels and is one of the largest in Europe. Zenith said it intends to continue operating the terminal on a commercial basis. The Herald reported on October 31, 2014 that Greg Garland, chief executive of Phillips 66, said the sales process for the Whitegate refinery in Co Cork had been a failure and that Whitegate Refinery is "essentially off the market" after it failed to sell the refinery. Phillips said that it would continue to run the refinery, which has operated in East Cork for nearly 55 years, as usual. It's been speculated that a closure could be on the cards if a buyer isn't found. "Phillips 66 will continue operating the refinery as usual while identifying opportunities to enhance returns from this business," a spokesman told the Herald. According to the Irish Independent, when the Whitegate refinery and Bantry storage terminals were sold by the State in 2001, it was a condition of the sale that they must continue to be operated until at least 2016. This requirement applied to the company that purchased the assets and any future owners. A report commissioned by the Department of Communications, Energy and Natural Resources last year found that overall oil demand has declined since peaking at 11.8m tonnes in 2006 for Ireland. Then Energy Minister Pat Rabbitte said the report showed that having an operational refinery on the island provided flexibility and enhanced the options available to the State in the event of an oil supply disruption by mitigating the complete reliance on imports. "As such, the continued operation of the Whitegate refinery on a commercial basis is highly desirable," Mr Rabbitte said. Greg Garland told analysts during the third quarter earnings conference call on October 29, 2014 that the sale of the Whitegate Refinery is a failed process. "Whitegate, really a failed process. No interest in someone buying the Whitegate Refinery, so that asset is essentially off the market for now." The Irish Examiner reported on August 28, 2014 that Phillips has reached an agreement to sell the Whiddy Island oil terminal in Bantry, which holds a third of Ireland’s strategic oil reserves, to the US startup, Zenith Energy. “We understand from Phillips 66 that Zenith intend to continue operating the terminal on a commercial basis. The Bantry terminal will therefore remain an important element of Irish oil infrastructure, regardless of its ownership,” said the Department of Energy Communications, Energy and Natural Resources. Phillips 66 employs 30 people directly at the site and the operation indirectly supports 100 contractor jobs. The Whiddy facility, which has a storage capacity of 7.5 million tonnes, is considered one of the best fuel storage facilities in Europe following significant investment over the past 15 years. The Independent reported on August 26, 2014 that Phillips 66 Ireland Ltd recorded a pre-tax losses of $42.48m in 2013 after enjoying pre-tax profits of $26.6m in 2012 - a negative swing of $69.14m. The directors' report states that "while the sharp correction to demand patterns has stabilised following the economic crisis in Ireland and Europe, demand in general has returned to a declining trend. "Of greater impact is that external competitive pressures have risen. This is seen from the USA following their shale energy revolution, new build refineries in the Middle East and continued supply into Europe from Russia." The directors state that the firm's assets ran well with strong reliability and availability. Alison Sider reported in the WSJ on April 3, 2014 that after nearly a year of trying to sell its Whitegate refinery in Ireland, Phillips is calling off the search for a buyer and will just keep running it. “Based on the level of interest from potential buyers, we will take the next step in the sales process for the Bantry Bay storage terminal only,” company spokesman Rich Johnson said. According to Sider European refineries are struggling because fuel demand in the region is down amid a sluggish economy, plus there’s increasing competition from plants in the Middle East, Asia and even the U.S.
Greg Garland told security analysts at the Credit Suisse Global Energy Summit on February 12, 2014 that Phillips expects to sell Maleka and Whitegate in 2014. "We've gotten very good at selling the good things. I told Clayton we're going to have to get very good at selling the not-so-good things. Certainly [we] have a process underway with Whitegate. We have a process underway with Melaka. What I would say in that you should expect that we will draw those processes to a conclusion in 2014. Garland told analysts at the third quarter earnings conference on October 30, 2013 that Phillips is still looking at "selling possibly our Whitegate refinery in Ireland and our interest in the Melaka refinery in Malaysia, and so those efforts continue. We’re in the process of evaluating specifically the opportunities around Whitegate. So I think those have been the pieces of portfolio for us that long-term are really where the strategic interest is." Greg Garland told analysts at the Barclays Energy-Power Conference in New York that Phillips has potential buyers interested in its Whitegate Refinery. Garland declined to elaborate, but analysts had speculated that buyers would be tough to find. Reuters reported on June 11, 2013 that Phillips wants to sell the Whitegate Refinery in Cork, Ireland. However Seth Kleinman, head of energy research at Citigroup says the odds of finding a buyer look slim and that the refinery would probably have to be shut down as it will be hard to find a buyer for it. In the meantime Phillips will continue to operate the refinery. "Phillips 66 intends to continue operating the assets as usual during the marketing process, which is expected to last for several months," said company spokesman Rich Johnson in a statement. Europe's refining sector has been struggling because of over capacity and Coryton refinery in the UK, owned by the bankrupt Petroplus group, closed last year after administrators failed to find a buyer for it. Micheal Martin, the leader of Ireland's main opposition party Fianna Fail, said the sale of the refinery had potentially serious consequences for its economy as it is the only refinery in Ireland supplying about one third of Ireland's oil products. "Whitegate is a key strategic asset. It provides one third of all our transportation fuel and is a long-term principal supplier to the National Oil Reserves Agency. The threat to its future has serious implications for Ireland's energy supply and consequently for our economy," Martin said in a statement. "It has been a major employer in the area for decades, supporting hundreds of jobs directly and indirectly. 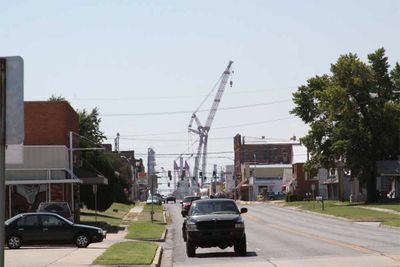 Its loss would be a serious blow to local economy." "The move is part of a fire sale of Irish assets by Phillips," writes James Detar on Investor's Business Daily. "which is also selling an oil and refined products storage terminal in Bantry Bay in County Cork, and its Ireland wholesale marketing business." Reuters reported on December 13, 2012 that Greg Garland told reporters on December 13, 2012 that Phillips will likely look to sell its Whitegate refinery in Cork, Ireland, and its stake in the 2 Melaka refinery in Malaysia. Phillips plans to retain stakes in the refineries it owns in the United Kingdom and Germany. "We don't envision growing in the Asian refining space," said Garland. ↑ Irish Times. "Whitegate refinery officially launched by new Canadian owners" October 24, 2016. ↑ PR Newswire. "Irving Oil Welcomes Whitegate to the Team" September 9, 2016. ↑ Irish Independent. "Canadian firm agrees deal for Cork-based Whitegate oil refinery" August 3, 2016. ↑ Irish Examiner. "Sale of Whitegate oil refinery moves closer" by Peter O'Dwyer. May 21, 2016. ↑ Irish Examiner. "Fuel supply ‘vulnerable’ in event of Brexit" by Peter O'Dwyer. April 21, 2016. ↑ Irish Examiner. "Whitegate oil refinery of ‘strategic energy importance’ to Ireland" by Peter O'Dwyer. February 2, 2016. ↑ The Independent. "Concern at proposed sale of Whitegate oil refinery" by Tim Ryan. December 19, 2015. ↑ Wikipedia. "Dáil Éireann" Retrieved December 20, 2015. ↑ Irish Examiner. "Securing Whitegate Refinery's future ‘highly desirable’ for Ireland's energy security and economic prospects" by Peter O'Dwyer. November 25, 2015. ↑ Irish Examiner. "Whitegate oil refinery back on the market after €263m loss" by Peter O'Dwyer. November 24, 2015. ↑ Evening Echo. "WHITEGATE REFINERY SALE WOULD DAMAGE LOCAL ECONOMY" October 28, 2015. ↑ Irish Independent. "Whitegate oil refinery operator gets $200m injection" by Gordon Deegan. August 18, 2015. ↑ Irish Examiner. "Government ‘powerless’ to secure Whitegate future" by Peter O'Dwyer. July 15, 2015. ↑ Irish Examiner. "Loss-making refinery faces uncertain future: by Peter O'Dwyer. July 15, 2015. ↑ Irish Examiner. "Whitegate refinery sale is ‘still on’" by Peter O'Dwyer. July 15, 2015. ↑ Houston Business Journal. "New Houston energy company buys major oil terminal from Phillips 66" by Jordan Blum. February 9, 2015. ↑ The Herald. "Irish refinery 'off the market'" October 31, 2014. ↑ Independent. "Texans concede defeat in bid to sell off Ireland's single oil refinery" by Colm Kelpie. October 31, 2014. ↑ Irish Examiner. "Whiddy oil terminal sold to US company" by Claire O'Sullivan. Augusut 28, 2014. ↑ The Independent. "Whitegate oil refinery company falls into the red" August 26, 2014. ↑ WSJ. "Trying to Sell an Oil Refinery in the British Isles? Good Luck" by Alison Sider. April 3, 2014. ↑ Reuters. "Phillips 66 says buyers interested in Ireland refinery" September 12, 2013. ↑ Reuters. "UPDATE 1-Phillips 66 to sell Ireland's sole refinery" June 10, 2013. ↑ Investor's Business Daily. "Exxon, Phillips 66, Chevron In Major Oil Asset Deals" by James Detar. June 11, 2012. ↑ Reuters. "Phillips considers sale of Irish, Malaysian refining stakes" December 13, 2012. This page was last modified on 29 September 2017, at 13:34.